It seems that I have my seasons reversed. I created all of my posts that would be perfect for Christmas during the spring and summer! 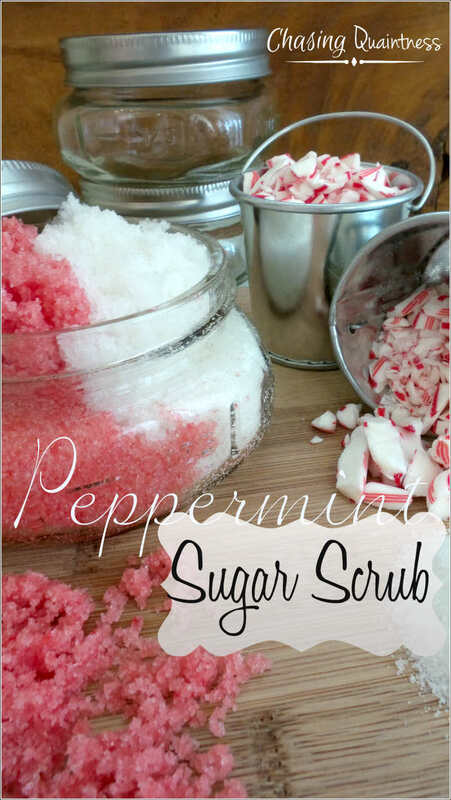 Back in June, I made this wonderful Peppermint Sugar Scrub. I found the recipe on Pinterest and added my own special little touch. 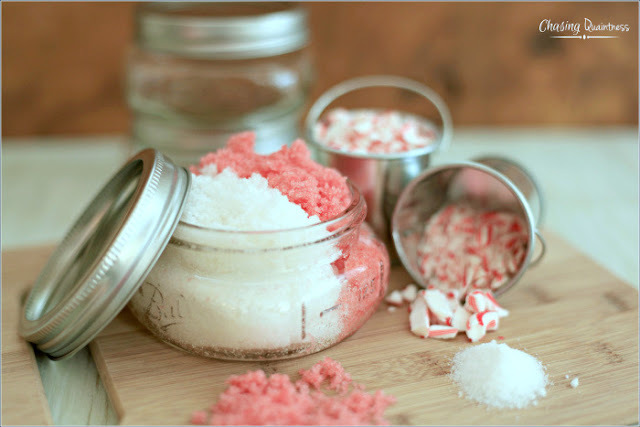 No, I'm not going to make you travel back in time to get the recipe for this colorful sugar scrub, I will share it here to save you some time. Besides, you are going to need the extra time to make up several jars of this scrub to give to family and friends for Christmas. Melt coconut oil in microwave safe dish for 30 seconds or until liquid. Mix in essential oil. Combine with sugar in a mixing bowl, until sugar is completely mixed with oils. Divide scrub in half. Mix one half with red food coloring and stir well. Fill jar with red mixture and white mixture as you desire. Store in an airtight container. 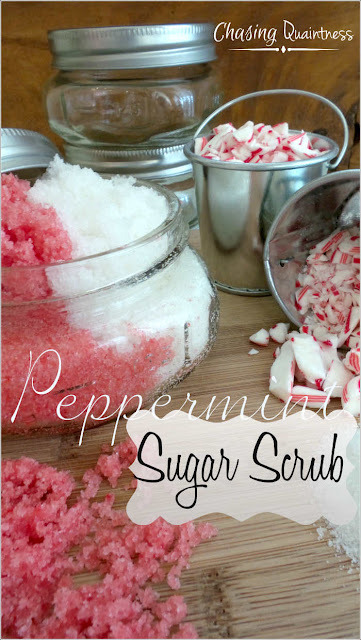 This scrub is a wonderful gift...put it in a pretty jar, tie on a colorful bow and deliver. You could even print out the recipe on a small card and tie it on to the jar. This scrub is very invigorating and is perfect for those mornings when you feel a little sluggish! I love sharing cool stuff with friends! I bet this smells amazing. Love sugar scrubs for your skin. Leaves the skin feeling so fresh and renewed. 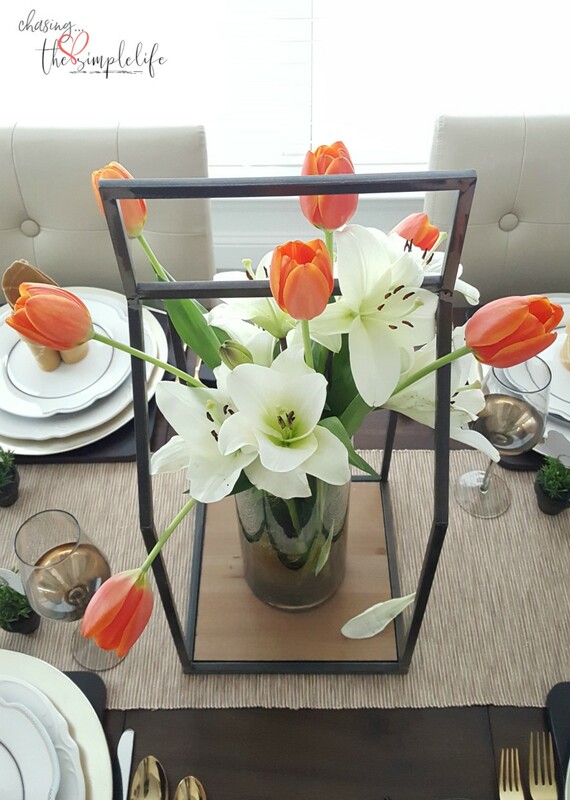 Thanks for sharing this wonderful and pretty idea. Happy Day my friend. Very nice! I love a good peppermint high in the morning! My daughter made these last year for gifts. Only warning....don't put in a glass jar if it is for the shower....mine fell and broke in the tub and cut my toesies! LOL @ peppermint high...I love it and that is exactly what it is!! Oh no! I did put mine in glass jars and didn't even think about them sliding around and breaking. I will remember that for future scrubs that I make...nonbreakable containers!! Thank you so much! I love giving and getting them as gifts! Thank you again!! 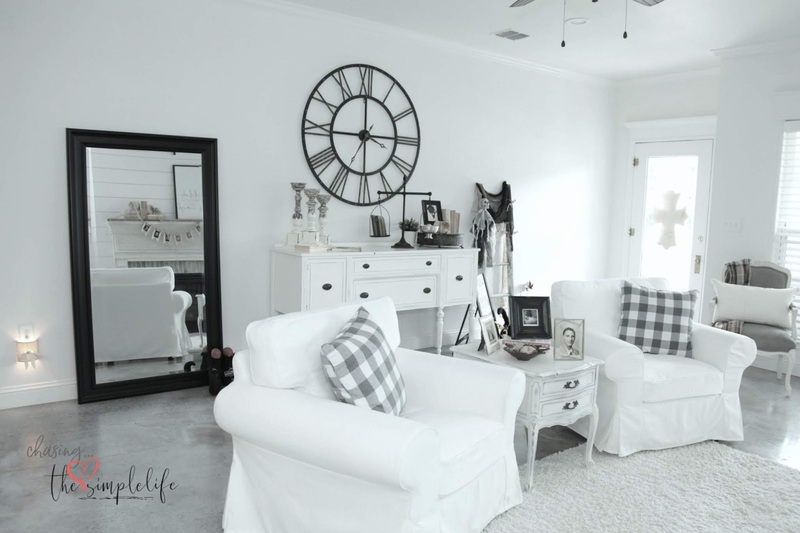 This is the perfect Holiday gift, especially with all the hustle bustle, Momma needs to relax!! 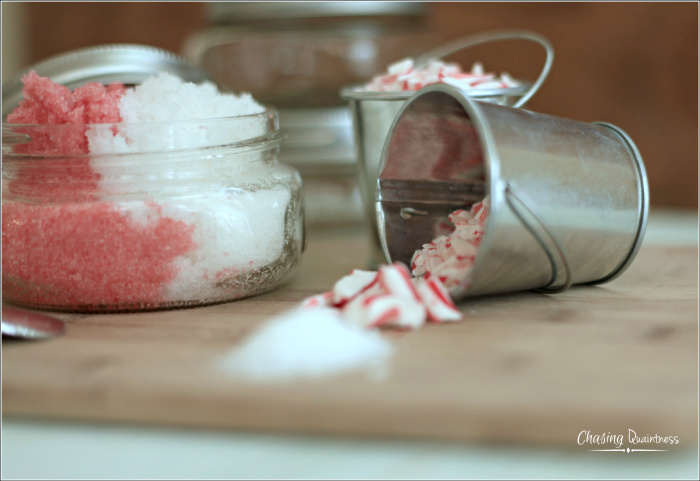 =) So pretty, and I love the smell of peppermint!Pinned! Thank you so much! 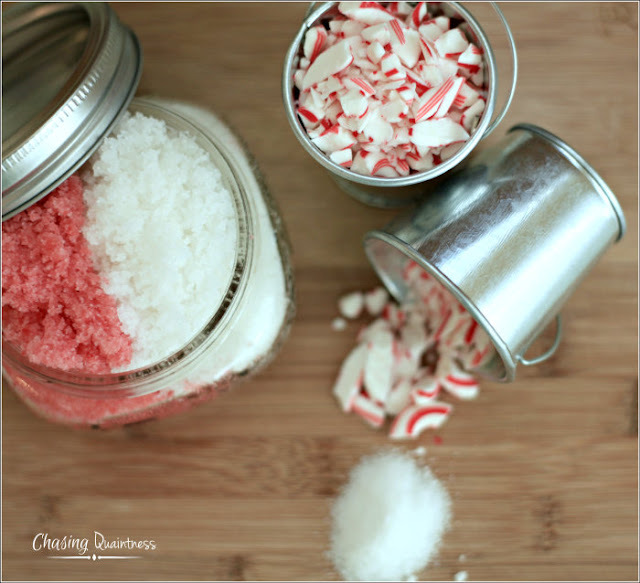 It is great because you can make a batch at one time and put it into the jars and have several gifts in no time at all! Thank you again...hugs!! I can almost smell this through my computer! What a pretty gift, and I'm sure it smells divine! That song brings back memories! The colors are so much prettier in person and it does smell so wonderful! I love the song also….from the ol’ days…LOL Thank you so much! Hugs!! 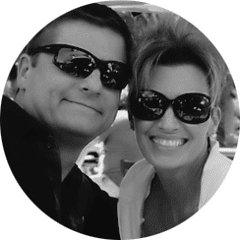 You are welcome Carla! I think you will really like it! This is soooo pretty and I love peppermint everything. I use peppermint soap daily and when it is so hot in Texas in the Summer, it has a wonderful cooling essence! Thank you Jemma! I love the cooling factor of peppermint also. I use peppermint oil on the back of my neck when I have really bad hot flashes...it works wonderfully! Hugs!! 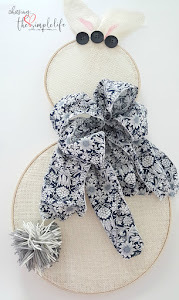 What a perfectly pretty gift for Christmas, and super easy too! I have all the ingredients on hand so I may just make this! It is really pretty in the jar and these little things are perfect gifts! Hope you enjoy it! Hugs! Love how this looks in the jar.....now I just need to get time to make some for gifts. LOL! Thanks for sharing. HUGS!!! Thanks so much and you are welcome!! 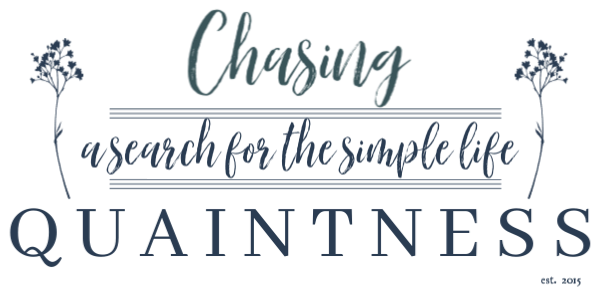 It is truly easy and takes about 5 minutes! Hugs!! Perfect...snack and scrub all in one! ;) Ho Ho Ho! !